The charm of camping with all the comforts of home! Have you ever dreamt of waking up in a sunny woodland clearing to the sound of bird song or in an orchard full of wild flowers? The Woodland Camp offers exclusive use of a beautiful Devon woodland with total privacy away from the hustle and bustle of everyday life. 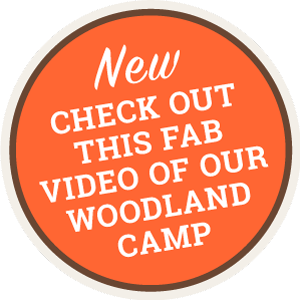 Imagine the magic of letting your kids run wild in a wood for a week – think of the freedom. But you’re not cramped in a cold wet tent, you’re warm and dry in an amazing safari tent with real beds and a large wood burning stove. 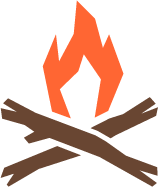 While you relax with a drink round a proper camp fire, the kids are busy playing in the tree house, exploring, playing on the giant swing or building a den. Or maybe it’s a romantic break you’re after, gazing at the stars or a relaxing wildlife watching experience. The Wood Life offers all of these and more. It's a real opportunity to spend some quality time with the family and get back to basics. Or why not try our romantic old Orchard Wagon with stunning countryside views. 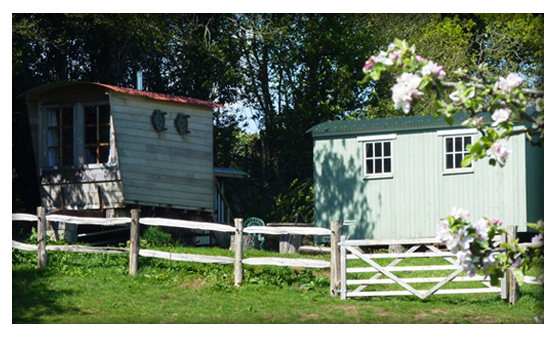 At the end of a little country lane tucked under Haldon Hill in an old orchard you'll find a cosy shepherd's hut and amazing bathing wagon. This is a perfect retreat for couples to get back to the good old days. From here there are only miles of green lanes and old drovers paths. Some people call it glamping or luxury camping, we call it a great escape! "Very close to the perfect camping holiday"
Copyright ©2018 The Wood Life. All rights reserved.